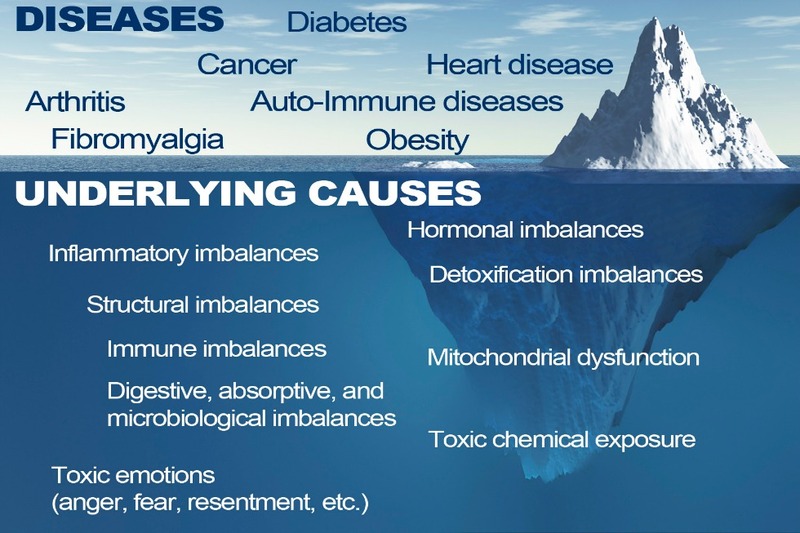 Functional medicine is patient-centered, laboratory testing to determine the underlying root cause of the patient’s symptoms. Dr. Boynton looks at how your body works as a whole. One symptom may have several root causes, but once the results are analyzed, he is able to create a personalized plan designed to restore the patient to optimal health. The protocol will consist of chiropractic adjustments, nutraceuticals, lifestyle modification, dietary changes, exercise and sleep recommendations. Periodic follow-up testing will be done to determine the success of the program and help him to monitor the patient’s progress. Everything in the body works together, so why treat each symptom individually? If you return the body to optimal physiology, your symptoms will be resolved. The conventional medical model has a specialist for each part of your body which is symptom based care. Dr. Boynton brings all of these specialties together at one office to treat your whole body, not your symptom. Traditional lab values are based on population norms in certain demographic regions of the country. The problem is that most "normal" people are sick or unhealthy. So normal is sick. Over the years lab values have changed to stay "normal" with an ever growing sick population. 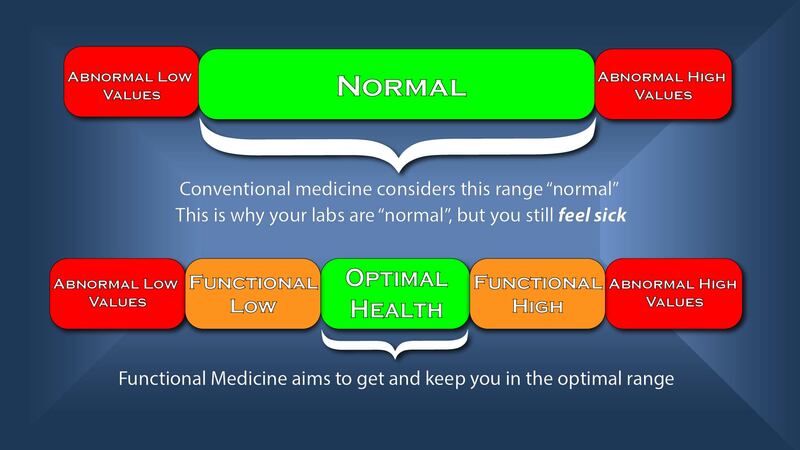 In contrast, functional lab values are based on physiological norms. What this means is the top and bottom 25% of each range are not considered. By limiting the upper and lower levels you are left with optimal health ranges. If your result is in the lower 25% of the range, it will most likely fall below "normal" and your doctor would recommend medication. The goal it so keep you at the the middle of the range which is optimal health.